TSMC to Increase 2015 Capex to US$ 13 Bn. TSMC will reportedly increase 2015 capital expenditure. Capital equipment suppliers say Taiwan Semiconductor Manufacturing Co. (TSMC), reportedly the world's No.1 pure silicon foundry, will hike its capital expenditure this year to US$13 billion from the originally planned US$12 billion to solidify its leadership in the industry. 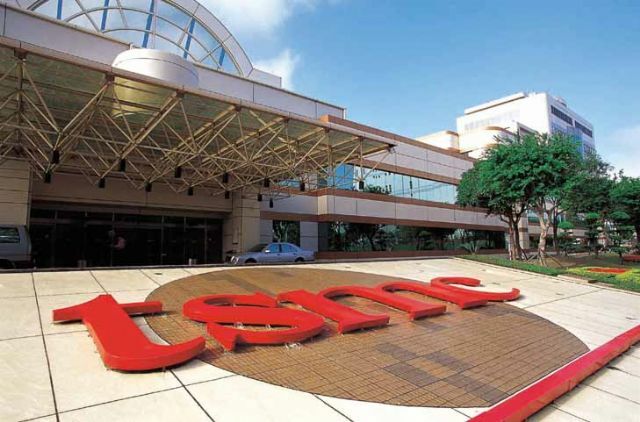 In response to such reports, TSMC executives say the company will not announce whether it will increase 2015 capital expenditure until the board of directors will have reached consensus. The company will hold a regular institutional investor conference on Apr. 16 to announce financial performance including the expenditure plan. Equipment suppliers point out, regardless of TSMC's capital expenditure plans, the company still outdoes Intel Corp. and Samsung Electronics in such outlay to lead all chipmakers worldwide, and that the reported added expenditure suggests the company's determination to strengthen its leadership in the foundry sector. The suppliers say TSMC will spend the 2015 capital mostly on new production capacity, R&D of advanced foundry processes, installation of advanced packaging capacity. The advanced processes include 10-nanometer and 16-nanometer. By the end of this year, TSMC is predicted to build a capacity of 50,000 wafers of 10nm and 16nm chips a month for major customers such as Apple, the equipment suppliers say. The company is accelerating the installations of 16nm tools at the P6 and P7 workshops of its Fab 14 factory at the Southern Taiwan Science Park to keep up with the schedule of making the microprocessors contracted by the network-communication equipment supplier Hisense Group of China in June using the stripped-down version of its 16nm FinFET process and the main version of the advanced process in the following month. TSMC plans to ramp up its 16nm FinFET process capacity to approximately 100,000 wafers a month by mid-2016 after the capacity reaches 87,000 wafers in the first quarter of the same year and 50,000 wafers by the end of this year. The company's 10nm plan includes pilot production this June in the company's 12-inch wafer fabs at the Hsinchu Science and Industrial Park in northern Taiwan and duplicating such production at the Hsinchu park at the company's 12-inch fabs at the Central Taiwan Science Park. TSMC's aggressive capital spending plan is expected to create business opportunities for local equipment suppliers including Hermes Microvision Inc., Scientech Crop., Gudeng Precision Co., Ltd., Grand Plastic Technology Corp., Mirle Automation Corp., Shih-Her Technologies Inc., Feedback Technology Corp., Formosa Sumco Technology Corp., and Topco Scientific Co.
TSMC announced consolidated revenue of NT$72.27 billion (US$2.33 billion) this March, increasing 15.4 percent from a month earlier and 44.7 percent year on year. In the first two months of this year, the company had combined revenue of NT$222.03 billion (US$7.16 billion), rising 49.8 percent from the same period of last year.